Bram Chardon of the Netherlands is the new FEI Driving World Cup™ champion, after taking the title from reigning king Boyd Exell of Australia in a stunning upset this weekend in Bordeaux. Chardon, who was the backstepper when his father Ijsbrand Chardon won the title in 2016, was joined in his elated victory by his sister Jeannette Chardon, a competitive eventer who served as his navigator, and Maurits Hallo, his backstepper. The 25-year-old champion fought valiantly for his first ever FEI Driving World Cup™ championship, beating second-place finisher Koos De Ronde of the Netherlands and bronze medalist Glenn Geerts of Belgium in a thrilling drive off. Amazingly, Chardon also made it through two days of grueling competition with zero penalties over four rounds, the only driver in the event to do so. 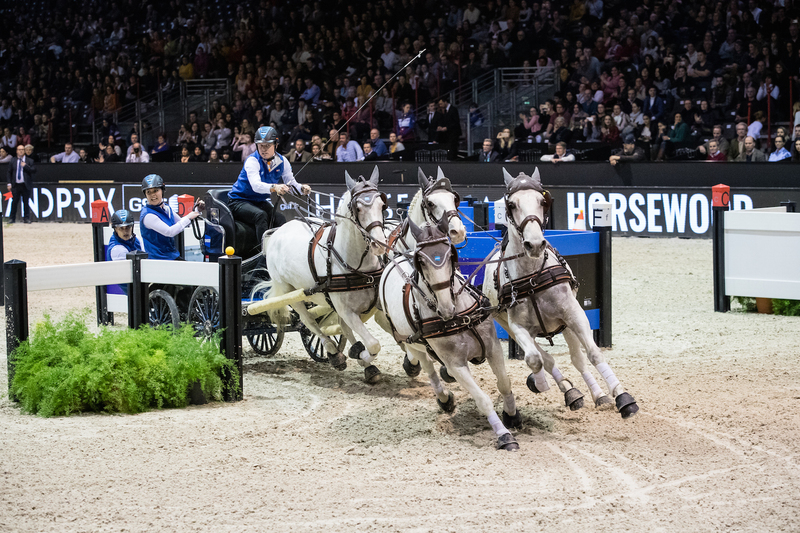 Johan Jacobs of the Netherlands set the course that would prove the battle ground for seven Driving teams this weekend in France, where the FEI Driving World Cup™ Finals were the cap to a week of exciting horsemanship. Jacobs built the Finals course two years ago in Gothenburg, as well as the London and Geneva qualifying legs of the current season. With 12 obstacles spread over 740 metres, including a bridge, a speedbox, and two marathon box mazes, the track demanded precision without sacrificing pace. At the end of two rounds of competition on Day 1, the leaderboard showed unexpected results: defending World Cup champion Exell was at the bottom of the standings on 305.71 seconds, and Chardon had a hefty lead over the field on 252.61 seconds. Sadly for Exell, Day 1 say him accrue penalty points early on in the course, which was compounded by an error in the second round for which he picked up another 20 points. With a change in scoring and first-round points carried over to the second day, even Exell’s tremendous speed at 126.41 seconds on Day 2 couldn’t put him in contention for a medal this time around. Whilst the leaderboard on the final day of Driving changed with every single one of the last five teams, it was the three leaders heading into Day 2 that maintained their top spots to head to the drive off. Up first, Glenn Geerts gave his second World Cup Finals a great effort, but the four-time Belgian champion got stuck for a few seconds at obstacle No. 4 on the first narrow, winding marathon segment and then knocked the last cone rounding the corner to the finish for a total time of 551.98 seconds. De Ronde, who won the FEI Driving World Cup™ title in 2013, as well as the Budapest and Lepzig legs of this season, had a beautiful clear run through the drive off, for an overall time of 521.63 seconds. Could he possibly stay in the lead? Driving last, Bram Chardon knew he had a time advantage but couldn’t stay too far off the pace in case an error ate up his top position. With the French crowd going wild with anticipation, he showed no hesitation and turned in his fourth clear round of the weekend in only 121.60 seconds, for a total time of 502.43 seconds and a new Driving World Cup crown to his name. Bram Chardon’s father, Driving legend Ijsbrand Chardon, finished fourth in the Finals (416.11 seconds), followed by Jérôme Voutaz of Switzerland (420.44), Boyd Exell (432.12), and Benjamin Aillaud of France (466.38). There will surely be many more years of Driving firsts for the young Chardon, and now that he has proven to be a threat to eight-time champion Exell, the ante has been upped considerably in international Driving competition. 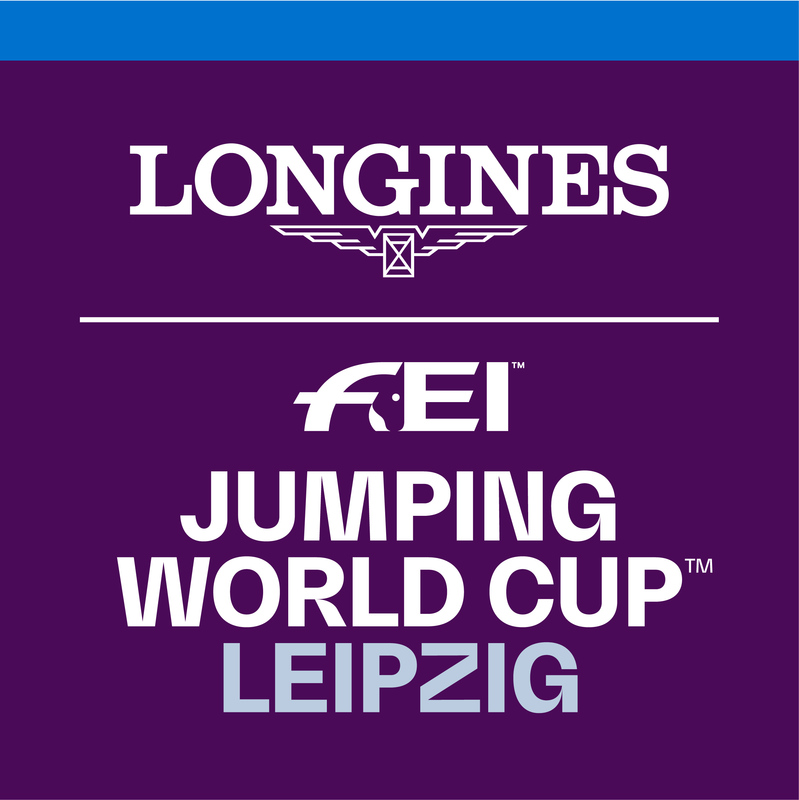 The FEI World Cup has lots more excitement to come too in other disciplines with the Longines FEI Jumping World Cup™ and the FEI Dressage World Cup™ Finals taking place this April in Gothenburg. Stay tuned to FEI TV for more exhilarating equestrianism!